Monday evening, I attended an event at Widmer Brothers Brewing Pub, formerly known around these parts as the Gasthaus. 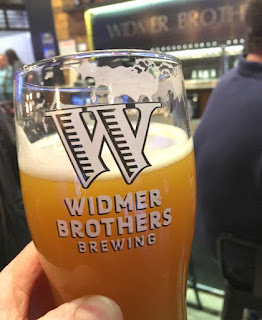 A bunch of folks from the Portland beer community, mostly brewers, were invited to stop by, sample the beers and see the place Widmer now calls home. Fun evening. I'd been there ahead of the event. Several weeks ago, I stopped by on the advice of someone who said the innovation program, lead by Thomas Bleigh, is putting out some nice beers. Sure enough, the beers were pretty good on both occasions. The innovation and small batch program is almost certainly Widmer's future. Soon enough, the parent CBA will become a fully owned subsidiary of Anheuser-Busch. That deal, as I've suggested here and elsewhere, will probably happen by summer for contractual reasons. I'll be shocked if it doesn't. The CBA made its shift in focus official the other day when it announced that John Glick, vice president of its emerging business unit, is quitting to pursue "other business opportunities." The emerging business unit, launched in 2015, was responsible for acquisitions (just one) and forming strategic partnerships. With a buyout imminent, there's nothing for Glick to do. He's gone, golden parachute pending. At the same time, the company formalized its intent to refocus on innovation. It named Karmen Olson, the former director of emerging partnerships under Glick, as director of innovation. She promises an aggressive approach to innovation across the CBA portfolio. It's open season on that in this wacky beer climate, so she'll have some fun. The innovation strategy first began to emerge a couple of months ago, when the CBA abruptly shuttered the Gasthaus Pub. That was mostly a cost-cutting move, intended to create a leaner CBA that would be more attractive to AB. But the underside of that move was and is the new Widmer Pub, which opened a few days later and features mostly small batch, specialty beers. The CBA brass naturally denies that shutting down the emerging business unit and shifting to aggressive innovation signals that a buyout is on the horizon. That's par for the course, though. Buyouts in craft beer are always never going to happen until they're announced. Until then, operatives on both sides stonewall. You know the drill. As I've detailed and you may know, AB's sole interest in the CBA is Kona, which is growing rapidly and has huge national and international potential. Given its current trajectory, I don't see how AB can afford not to have Kona. Widmer, along with its longtime Northwest stablemate, Redhook, will be altogether dispensable once the buyout happens. 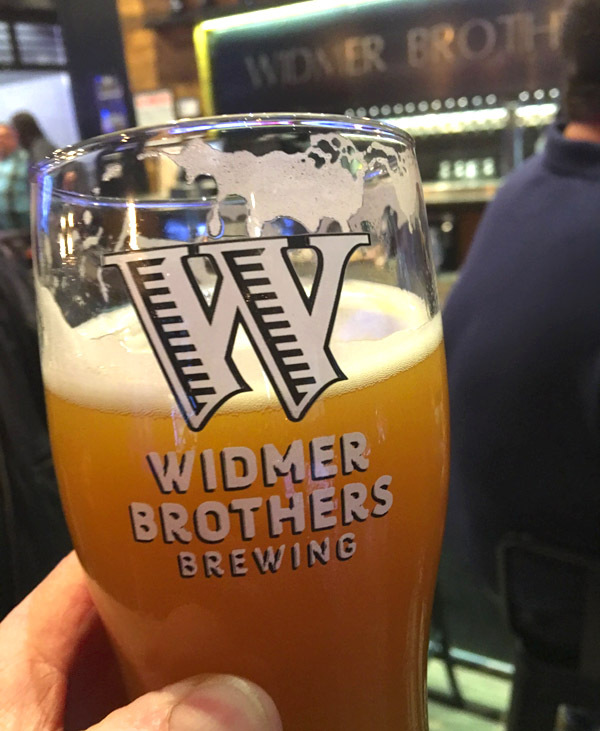 It's hard to say what will happen to Widmer in the wake of the deal. Whether it continues on as part of Anheuser-Busch's High End portfolio or is spun off as a separate entity, Widmer will have to feature a strong local and regional focus. Its national appeal has declined in recent times, thanks largely to the influx of new local breweries, but Widmer still has potential here. The key to getting some traction is going to be innovation. Small and inventive is the current buzz. Some would say Widmer has been innovating for years. If that's the case, those activities have gone largely unnoticed by those who follow local beer trends. Widmer has been widely regarded as a declining quasi-national brand without a future, the dysfunctional older sibling of Kona. Nonetheless, they're on the right track. Pushing ahead aggressively with the innovation program is good business. The folks involved are doing a nice job and it provides a path forward, regardless of how things turn out. Stay tuned.